Ideal for fast repair of concrete in vertical and overhead work and rapidly attains mechanical strength sufficient to exceed that of good quality concrete. A 3-component system which provides a cold or warm setting, lightweight, low slump filler for use in non-structural applications. 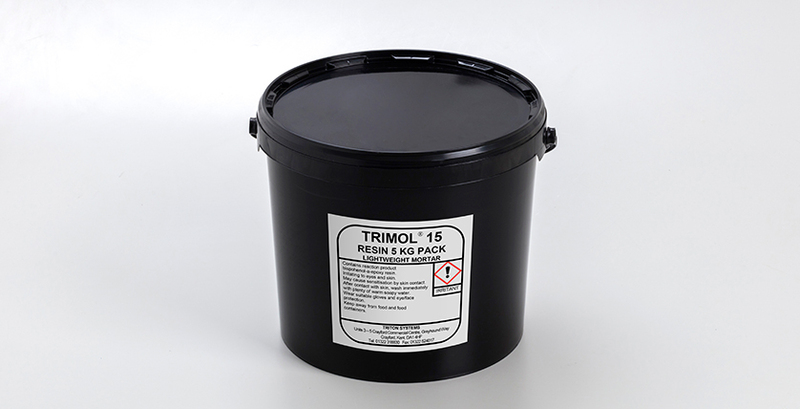 Best used in conjunction with Trimol 23 as a primer. Supplied in 5 kg packs.